A great package for someone who wants to include Herbalife products as a part of a healthy and balanced diet, or for someone who wish to try out the Herbalife programme. 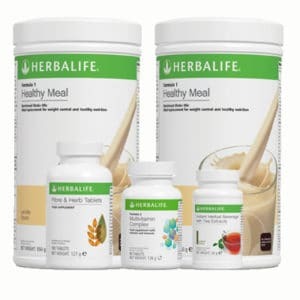 It is enough for 1 healthy, low-cal meal per day for around a month, and also comes with addition Multivitamin tablets and Fiber tablets. Click on the names of the individual products to find out more about them. 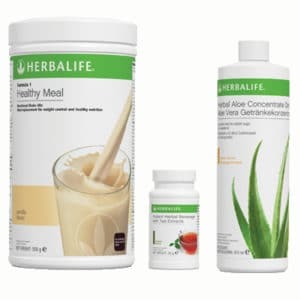 The award winning, world famous healthy meal replacement. Contains only 220kCal per serving, comes in 8 delicious flavours, and is a great meal for anyone who is looking for a nutritious and natural calorie-controlled meal. 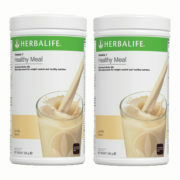 Gives you all the recommended daily doses of important Vitamins and minerals that may be hard to get through food alone. 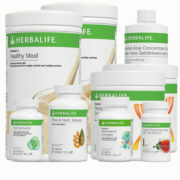 A great aid to your immune system and general health. 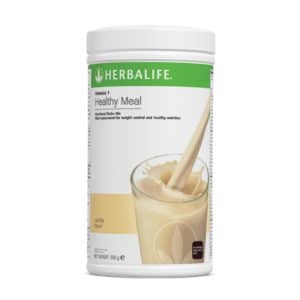 Combination of soluble and insoluble fibre that helps keep you full, promotes regular bowel movements and speeds up the transit of food through your gut. 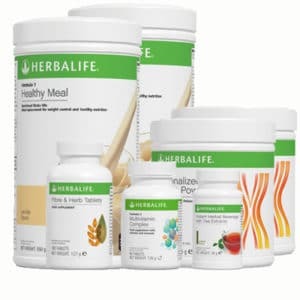 Replace 1 or 2 meals per day with the Herbalife shake (1 meal if you wish to maintain your weight, 2 if you wish to lose weight). 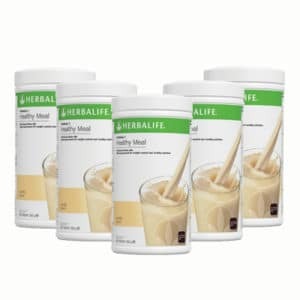 Just mix 2 flat tablespoons of the shake with 250ml of skim milk or iced water, and prepare in a shaker or blender. Take 1 Multivitamin tablet before each main meal – 3 per day in total. 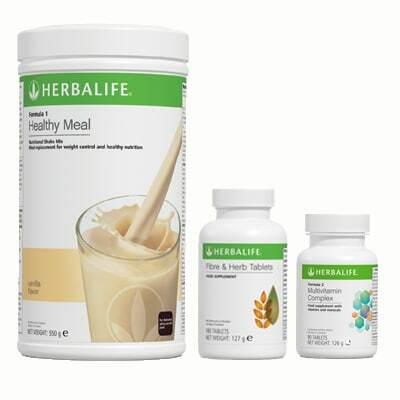 Take 2 Fibre tablets before each main meal – 6 per day in total.